Last Wednesday I stopped by a kids boutique store looking for something for a little girl who is turning two. 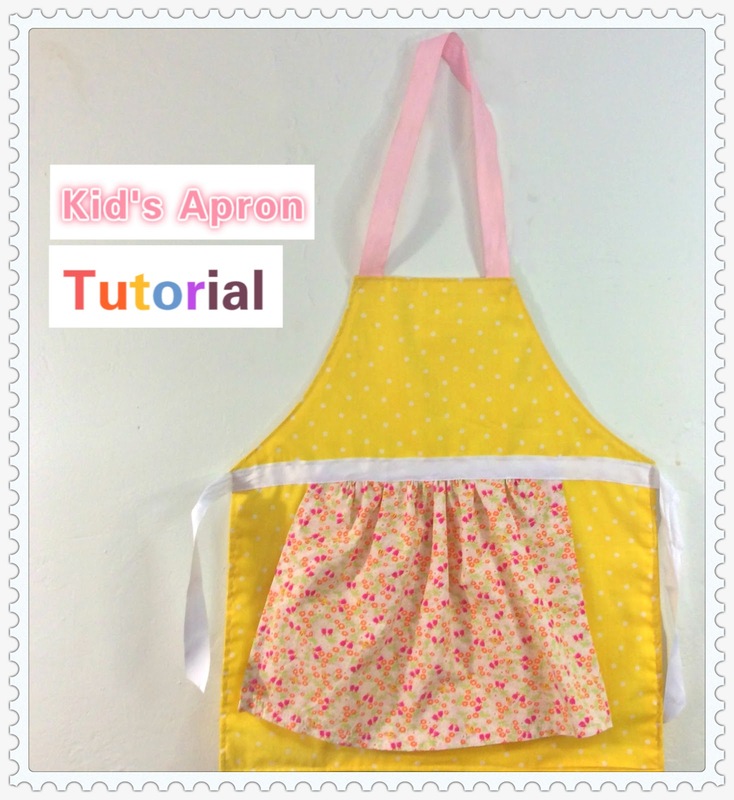 I saw a lovely apron that doesn't look too difficult to make. When I got home, I checked my fabric stash and happily found sort of color matching fabrics to a kid's apron. Home depot apron, used as my template. Home depot offers free kid craft activity every first Saturday of the month. The children attend can get a free apron, a certificate and a pin. I love the floral decorative piece on the front. 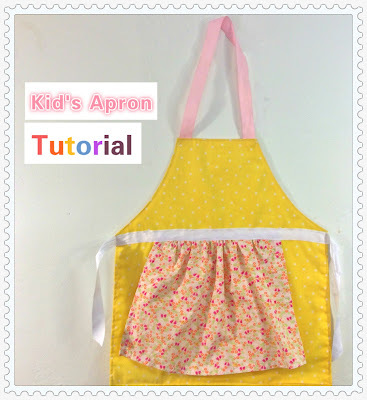 It lightens up the whole apron and is very suitable for the spring. The girls surely love it. I surely need to make a another ASAP so they won't fight for this one constantly. Thank you for stopping by my blog. See you next time.